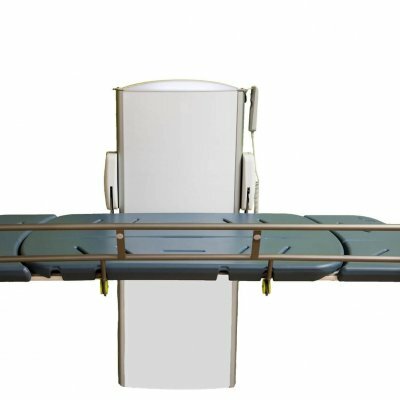 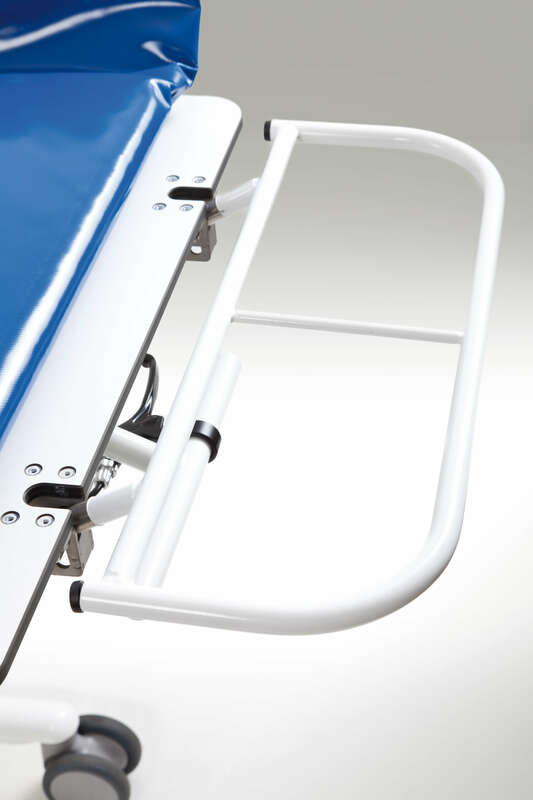 The height adjustable mobile Multicare shower, changing and treatment trolley not only allows easy transportation, but also provide a safe, secure and waterproof platform for treatment and care, including Trendelenburg positioning. 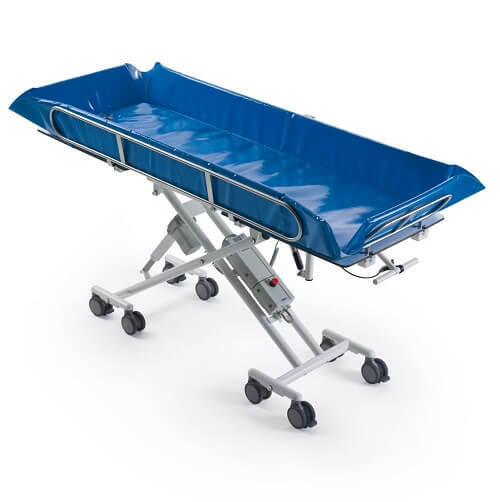 Dual rocking-castor suspension on the Multicare trolley gives an smooth ride, even over difficult surfaces, and the waterproof stretcher plate combined with powder coated stainless steel frame construction provides years more life than comparable mild steel trolleys – especially when used in wet or humid environments. 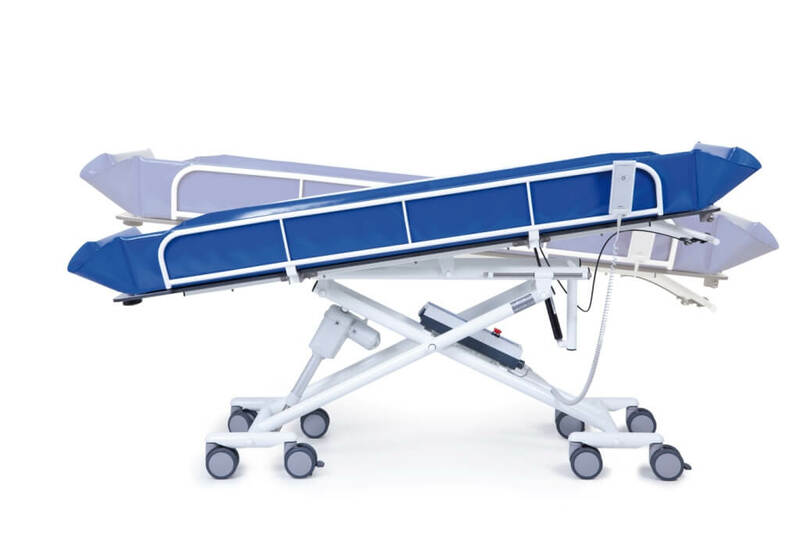 The Multicare trolley is available in 2 lengths of 1600mm or 1900mm and can be operated by either an electric handset control, or manual hydraulic foot pedal. 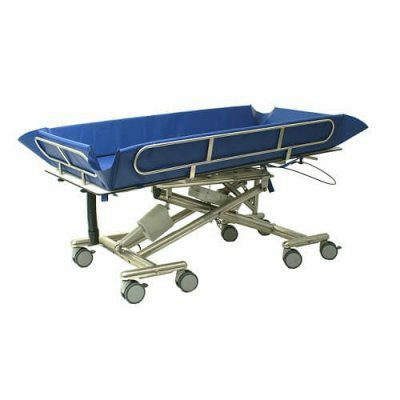 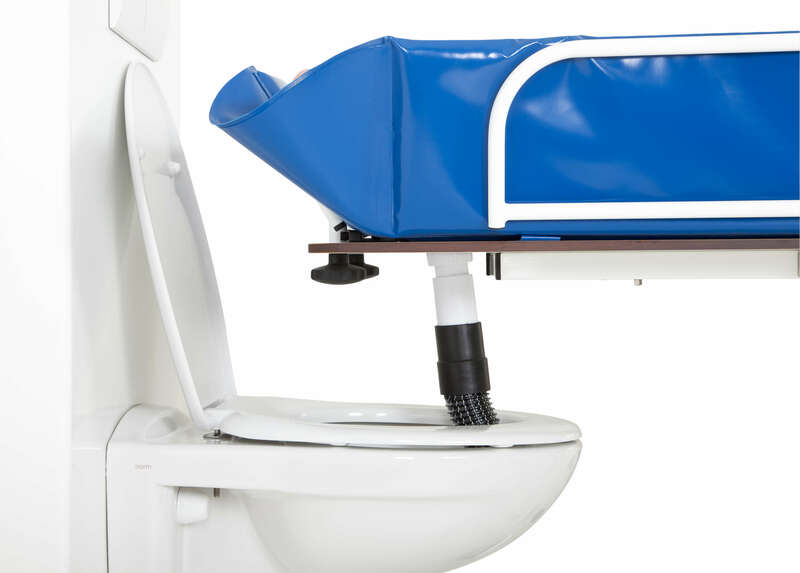 All Multicare trolleys come with 4 folding and self-locking guards, a 10mm laminated and waterproof platform, extendable head rail, drain hole with flexible waste pipe, and disinfectable PVC shower mat. 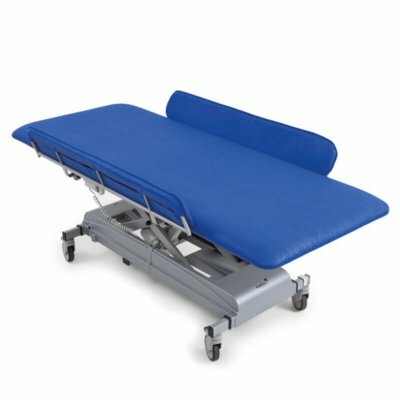 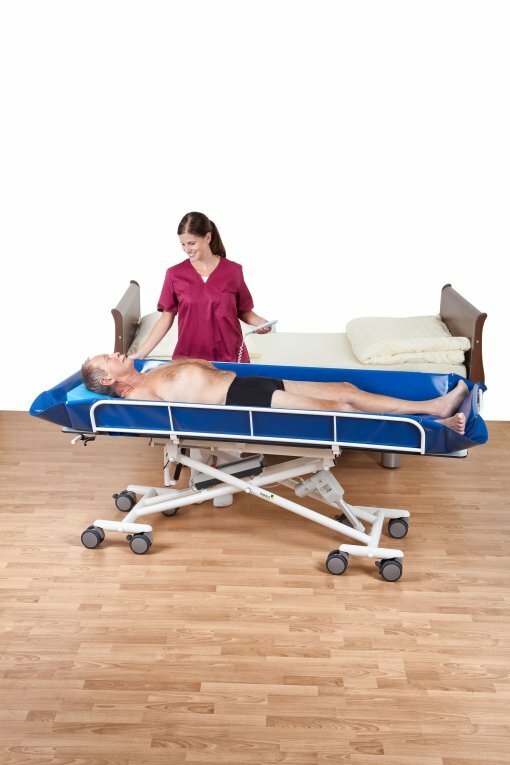 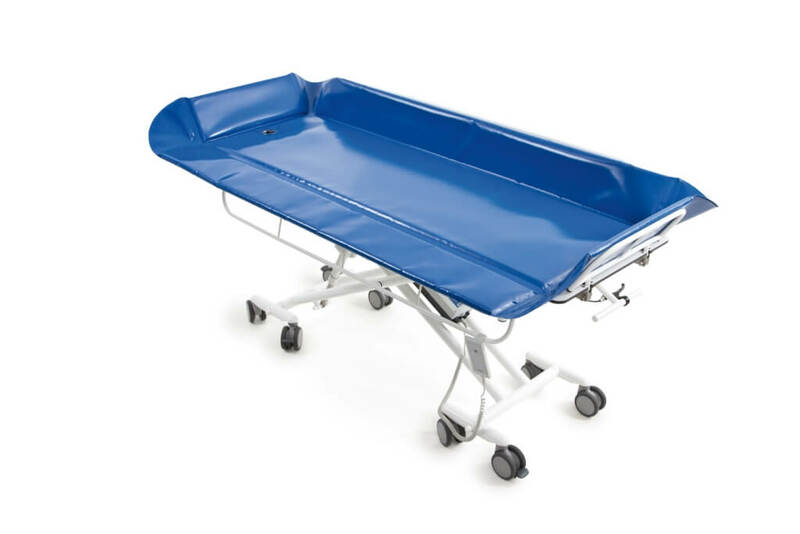 Also available is the Multicare Plus shower trolley which comes complete with a tilting platform giving up to 15 different positions, and a 40mm upholstered and disinfectable mattress. 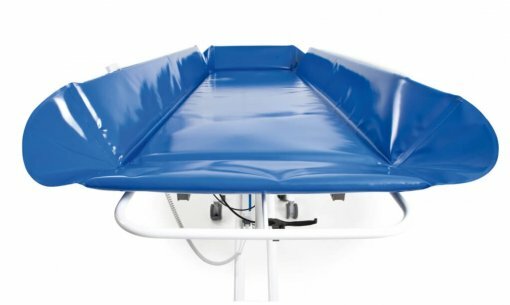 All Multicare shower and changing trolleys come with a 3 year warranty* and are a popular choice for use in Changing Places toilet facilities.